They're very nutritious, have a relative long shelf-life and could boost rural employment. Last week, the Madhya Pradesh Chief Minister Shivraj Singh Chouhan rejected a proposal to introduce eggs on the menu of the Integrated Child Development Services scheme – even just on a trial basis in three tribal districts. This short primer responds to some of the questions being asked about whether and why we need eggs on the menu of two government programmes for child nutrition: the mid-day meal scheme and anganwadis (for pre-school children under the age of six). 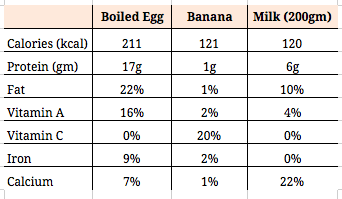 Here’s a comparison of the nutritive content of eggs and some vegetarian options of roughly similar cost. Need one say more? Source: nutritiondata.self.com. % refers to recommended daily allowance met. Note: Eggs are sometimes criticised for their fat content, but most young children in India need more fat. Aside from helping to raise calorie intake and facilitating the absorption of other nutrients, fat is important in its own right, for brain development, for example. One more thing: though some vegetarian options can match eggs in protein content (for example, soya chunks) or calcium (for example, milk), there are none where all nutrients (vitamin A, iron, calcium and fat) are available from a single source. If you’re still unconvinced, read Rohini Mohan’s piece in the Economic Times in which she talks to various experts or watch this episode of The Big Picture, where clinical nutritionist Ishi Khosla explains this in greater detail. Consider the following advantages of eggs: they have a longer shelf-life than milk or bananas. In rural areas, with decentralised kitchens and where refrigeration facilities are non-existent, this is a pretty useful thing. Eggs cannot be diluted or adulterated like milk or dals. Equally important, as Arti Ahuja (the IAS officer who brought the Integrated Child Development Services to life in Odisha) pointed out, provision of eggs can be monitored easily. 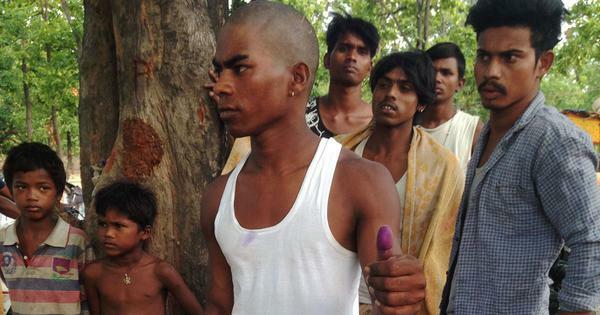 Even a child can tell you whether she got her full quota of eggs, so corruption is easier to control. Finally, eggs are hugely popular among school and anganwadi children. For instance, watch this video clip from a government school in Shimoga. The last reliable all-India nutrition data dates back to 2005-'06. According to the third National Family Health Survey, every second child under the age of three is undernourished. This is relatively well known now. However, few people realise how poor dietary intake in India is. Among children aged 6 months-23 months (for whom breastmilk is to be supplemented with semi-solid foods), the National Family Health Survey finds, less than 15% consume milk products (such as yoghurt), or meat or eggs, or pulses on an average day (see table below). In the same age group, among those children who were no longer being breastfed, the numbers are slightly better but still under 20%. Consumption of nutritious food by children aged 6 months-23 months the day or night before the NFHS (2005-'06) survey. Source: Table 10.9, p. 283, National Family Health Survey India report. 4. A large majority of Indians are non-vegetarian: There is a widely held belief that a majority of Indians are vegetarians. However, as this article by Yogendra Yadav and Sanjay Kumar shows, “pure vegetarians” are a minority, only in one-fifth families were all members vegetarians. Nine percent were vegetarians who ate eggs. Nearly 70% families were non-vegetarians. According to the same survey, even in Madhya Pradesh, where the proportion of vegetarians is high, it is only 35%. Finally, there is the question of whether eggs are vegetarian or non-vegetarian. Sometimes data on low consumption of non-vegetarian food (eggs, meat, fish, poultry) is interpreted as evidence of vegetarianism in India. In fact, this is likely a reflection, not of choice but compulsion. For instance, Rukmini S shows that monthly consumption of eggs is closely associated with income levels. This strengthens the argument for provision of more nutritious food through government programmes. Given that it is largely poorer children who enrol at government schools, the programme has an element of self-targeting. One must recognise that the problem is not just the absence of eggs from the menu at schools and anganwadis. The menu is woefully lacking even in nutritious vegetarian options (such as milk, soyabean, bananas) in many states. Here is a beautiful photo-essay of school meals around the world. Many egg-resisters shout loudly about nutritious vegetarian substitutes for eggs, but fail to mention that in fact many northern and western states provide none of these. In any case, even if eggs are served, vegetarian options are (and ought to be) available for those who don’t want eggs. Some groups have been opposing eggs as they are concerned about animal rights, especially the inhuman conditions in which chicken are reared. In fact, the same concern applies to milk too – calves are separated too early from their mothers, cows are given oxytocin injections and subjected to painful milking. The solution is not to stop consuming these items, but rather thinking about ethical solutions. For example, eggs could be procured from local women who rear free-range chicken on a small scale. That would even create employment opportunities for such women. In any case, as mentioned earlier, there is no compulsion as far as consumption of eggs is concerned.